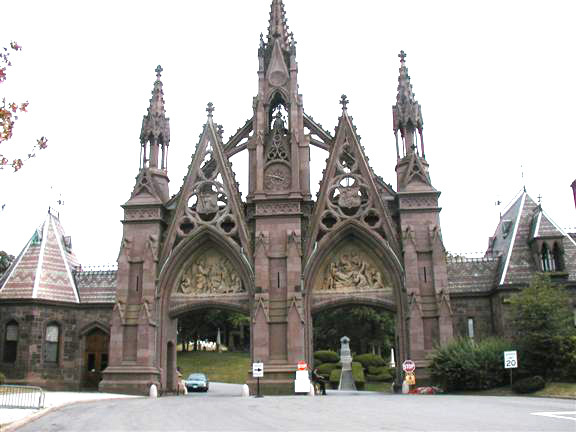 The Green-wood Cemetery was founded in 1838 by Henry Evelyn Pierrepoint. The original layout for the cemetery was designed by landscape architect David Bates Douglass. The 478 acres have a varied terrain and feature both the highest point in Brooklyn (Battle Hill) and four glacial kettle ponds. It has been a tourist destination since the mid 19th century and is the final resting place of around 600,000 persons. The cemetery was designated a National Historic Landmark in 2006.